Most of us are largely dependent on rotis. And it is definitely one integral part of our meals. Therefore, to make rotis healthier as well as tastier Truweight came up with gluten free atta roti to make sure that you don’t stack up on gluten. 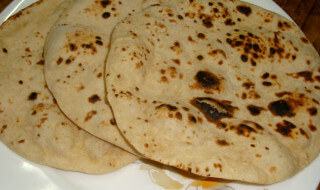 Go through the recipe to learn how to make tasty gluten free atta rotis. Take the gluten free atta and add water to it, as required. Mix them well to prepare the dough. Knead well with warm water and make into small rotis.